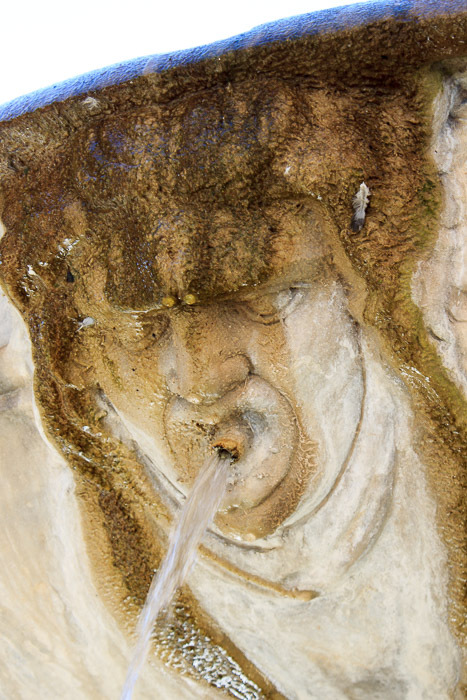 Oops, I made a mistake when I visited this fountain. I had written down in my notes to "be sure to take closeups of the faces". The problem is, those are the only photos I took! I think I was confused, thinking I'd seen this fountain before and only needed the closeups, where actually I'd never seen it before. Anyhow, the closeups of the faces on the bottomn edge of the bowl are below, and for the rest you'll need your imagination. 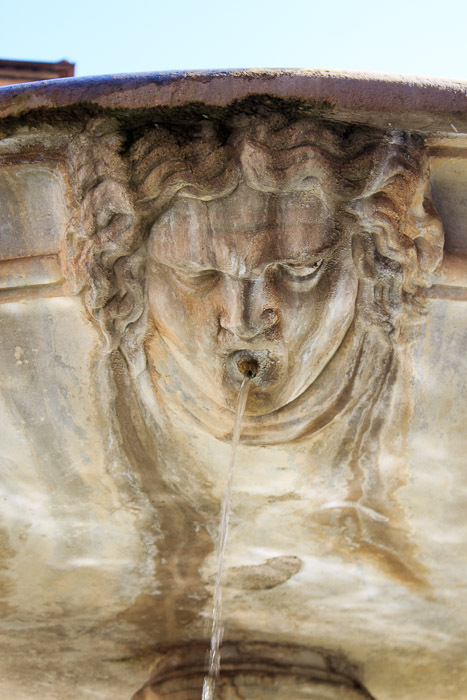 The fountain was designed by Giacomo della Porta and was originally located in Piazza Giuda, in the Jewish ghetto, but was moved to Piazza della Cinque Scole in 1925. 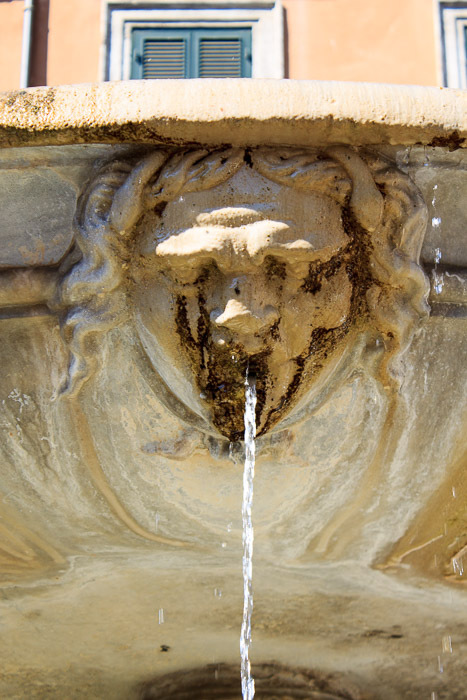 It is a bowl fountain, similar to the Fountain in Piazza Sant'Andrea della Valle, except except with very deep scalloped edges in the lower basin, and with the four fearsome Gorgon's heads, shown below, on the outside edge of the bowl. 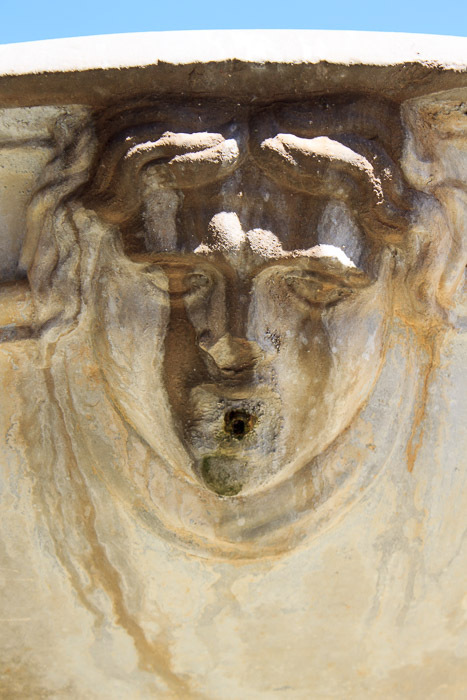 See all Fountain in Piazza della Cinque Scole photos.